Since 2015, the Marguerite Barland ’60 Merit Award has been presented annually in February at Goucher’s Jewell Robinson Dinner in honor and celebration of our first African American graduate, Marguerite Barland. Mark your calendars! Our next Jewell Robinson Dinner will take place February 23, 2018. 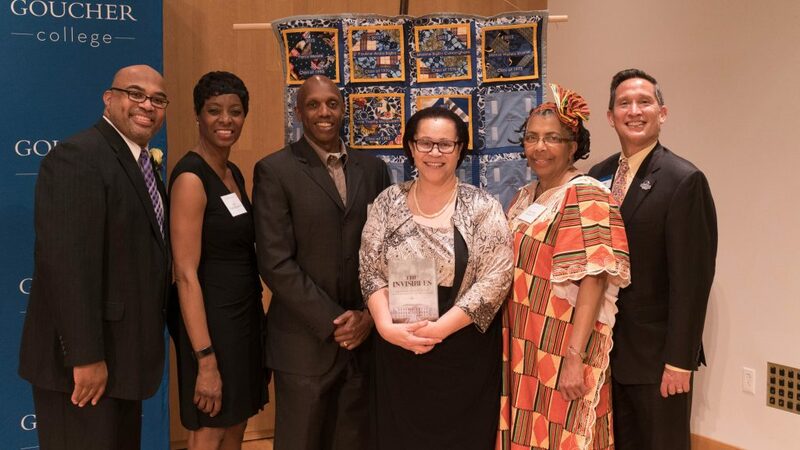 Named for the first African American to graduate from Goucher College, this annual award will celebrate one or more alumnae/i who in her or his professional and private life has significantly contributed to the diversity of our campus community through leadership—as a mentor, role model, volunteer, or philanthropic supporter of the college. Throughout their lives, these individuals will have exemplified Goucher’s Community Principles—respect, inclusion, communication, service and social justice, and responsibility—and by doing so, they will have enhanced and inspired our community.